Here’s to hoping a decent writer figures out how to use Ray in 2019! It was nice to have Atom in Hawkman and Superman the last two months. Although briefly. And drawn by Reis and Hitch no less. I'm reading the silver age JLA now and they use him pretty well in there. He definitely adds more than Green Arrow or even Batman. Looking forward to see how they use him further on in the series and into the satalite years. Yes sir! He had some great stuff in the silver age through the 80s and into the 90s .......and then DC pretty much decided to stop using him. I even enjoyed the micro verse story from JLA Rebirth I think it was back in February and March. He is definitely a top tier hero. Maybe not on Superman and Batman level, or even Green Lantern or Flash. More on the level of Hawkman and Martian Manhunter but still up there. So makes sense DC was using him as they did all their top heroes in some way or another back then. Once they brought in Choi in the 00's then I guess they were trying to push him more. I didn't read the micro verse story in JLA. I flipped through it and it seemed to me that even though Ray was there he wasnt in the spotlight so I didnt bother with it. I want to say it was issues 15 and 16....don’t quote me on that but there were two issues that were purely Ray Palmer..... which was the only reason I purchased them. They explained why he was in the microverse and how he got there, etc. They were actually pretty good! Then of course they just left him there and forgot all about him, until Carter showed up in Hawkman. The Atom is one of my faves. An art team can have so much fun with him. I'd really like to see him come back! Or, Bumblebee and the Atom! Happy New Year...courtesy of Ray Palmer . Maybe I'll check it out then. It looked like it had good art also. That's PROFESSOR Ray Palmer to you. Also since this is the beginning of the appreciation thread there should be some cool pics of the hero. 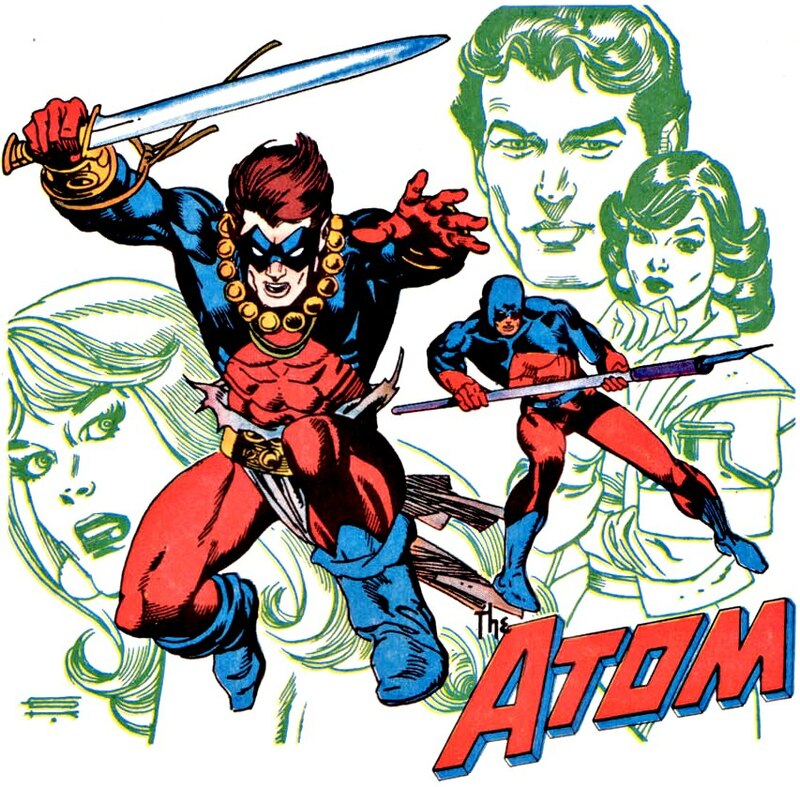 I think when people think of major League members past the Big Seven, Atom is probably pretty high up there. If not for Ant-Man getting his own movie I would say he was probably one of the more famous size-changing Superheroes. It’s to bad the arrowverse has handled Ray so poorly. Well he was originally meant to be Ted. I would probably say THE most famous size changing hero. I mean there's not much competition. Maybe Dollman? Really?? Wow. This makes so much more sense now. It's too bad. The character they are writing would have been a so in character Ted and great exposure for him. Instead we have no Ted and an ooc Ray Palmer. Good job.